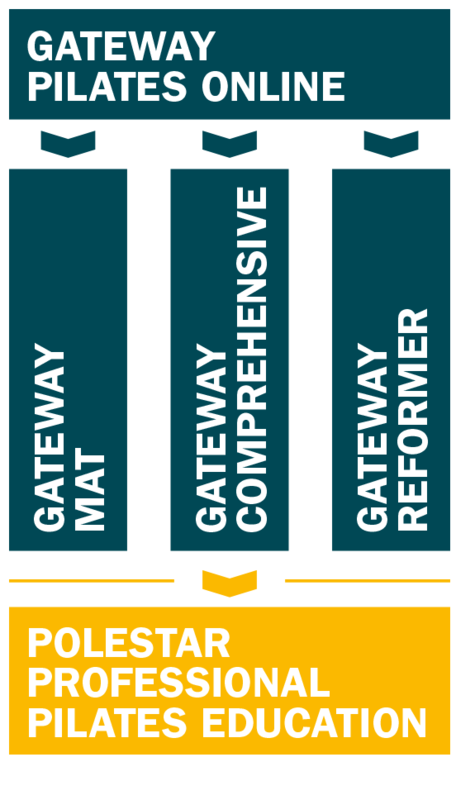 GATEWAY Pilates… The perfect introduction to the Pilates method. The POLESTAR Gateway Pilates concept is an introduction to both the Pilates method in general, and specifically in the Polestar concept. 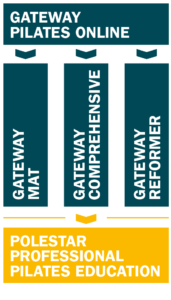 Gateway Pilates is an ideal entry point if you want to deepen your Pilates experience or start a career as a Pilates trainer. Your course will start with online training at home and then switch to two-day experimental practice sessions for collaborative learning. You will gain a deeper understanding of the Pilates method and will take the practical skills home with you to safely practice these exercises in-house and give basic instructions. Exercise cards and online content provided for each participant will help you, as well as the competent and individual feedback from your experienced instructors.